Now that you've decided that your child needs the personal care that only a nanny can provide, you need to determine how to conduct your nanny search. Finding a nanny isn’t always an easy process, but with the help of a trusted partner, finding a nanny can be easier and quicker than searching alone. While you may see advertisements for nanny agencies and nanny referral services, when choosing your trusted partner you need more than a thirty second advertisement. You need the confidence that only comes when presented with a proven track record consisting of thousands of families and nannies who have found their perfect match. How many days a week do you need nanny care? How many hours a day will your nanny work? Do you need other services, such as cooking or housekeeping? How much childcare will you need during vacations and holidays? Do you require a live-in or a live-out nanny? How much time will you need to find and hire the nanny? What kind of transportation do you expect your nanny to have? How much can you afford to pay a nanny and what is the going rate in your area? What are the local rules and regulations regarding nanny taxes? What kind of education do you want your nanny to have? What amount of experience do you require? How much do you want your nanny to be involved in your family life outside of her work? Will you allow your nanny to take your children on outings and to activities? Do you want a full-charge nanny or one that you provide specific, daily instructions to? Once you’ve identified the type of care you need, you can enlist the help of a trusted partner to help you with your search. 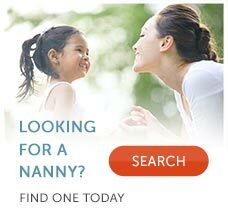 There are nanny agencies, nanny classifieds and online nanny referral services, such as eNannySource.com, that are able to assist parents who are looking for nannies. While there are nanny agencies that will do your entire nanny search for you, for parents who want to be hands-on in their nanny search, eNannySource is a viable option. With the tools and resources used by traditional agencies, eNannySource is able to help parents narrow down their search to candidates that are qualified to do their jobs. Of course, finding a nanny should not be completely limited to pointing and clicking. Once you find a select group of nannies whose qualifications and availability suit your family's needs, you will be ready to start the personal interview and selection part of your nanny search. All eNannySource members are given access to the Nanny Success Kit, which walks them through the process of screening, selecting and hiring a nanny. When searching for a nanny, you’ll want to leave yourself four to ten weeks to search, screen, select and hire a nanny for your family. This time frame will vary depending on the type of nanny position you are offering. Because a live-in nanny doesn't have to live nearby, live-in nanny jobs are typically the quickest to fill since there may be a number of candidates for your job. This is especially true if you have good living arrangements for the nanny and don't live in an isolated area. For live-in nanny jobs, you’ll want to allow yourself four to six weeks to complete the nanny search process. For a full-time, live-out position, where you live could affect how long it takes you to find a nanny. If you live in a densely populated urban area, there will be more potential nannies. Four to eight weeks is a reasonable amount of time to find a full-time, live-out nanny. The most difficult position to fill is the part-time nanny job. The reason is that there are not as many candidates looking for part-time work and for employment to work, the nanny must be available during the hours the family needs care. For these reasons, a part-time nanny search may take four to ten weeks. Knowing what you want and expect from a nanny from the beginning - and narrowing your nanny search selectively-will give you the opportunity to invite only the most qualified individuals to your home for a private interview. You will then be much closer to finding the right nanny to meet your family’s needs.